Most households own a handheld vacuum cleaner or two sometimes. And these machines have made the cleaning task of homeowners a more bearable task than it used to be. However, a vacuum cleaner is still a machine which requires some form of maintenance for it to work properly and clean efficiently. I have a few tricks that would ensure that your vacuum does its intended job. The first things I usually check before I use our vacuum cleaner are the brush rolls. Any kind of vacuum brush rolls that has tons of tangled hairs and other what not stuck in it will not pick-up as much as a clean one. A pair of pointed scissors will do the trick here. Do not make this vacuum cleaning mistake and then ignore it because those hairs and fibers that get caught in your brush rolls can put too much stress on your unit’s motor and a busted motor is not a cheap fix. I also usually, empty the vacuum trash bin before using it not only because I want a longer usage time but because I find that an empty bin in a handheld vacuum cleaner promotes better airflow and, therefore, better suction power for a better clean. Most vacuum cleaner owners only use the floor/carpet cleaner attachment and forgets to use the other ones that come along with their unit (if their unit has attachment functions). This is such a mistake because those attachments will help you clean your home much better and can replace a ton of other tools you use to clean around the house. Utilize those features as much as possible to get the best out of your handheld vacuum cleaner. Here is one that really bugs me, retracting the wire without properly guiding it. My son always does this and let me tell you why this is such a big mistake, the wire can spin too fast back inside your unit and get off track which will then require you to get it fixed. I have been there and I have done that, I was lucky enough that the off tracked wire did not hit any major component inside the machine or else I would have been looking for a brand new handheld vacuum cleaner then. Also, I check my filter every now and then. Why? because I have kids who are prone to allergy attacks and dogs who sheds in my furniture. 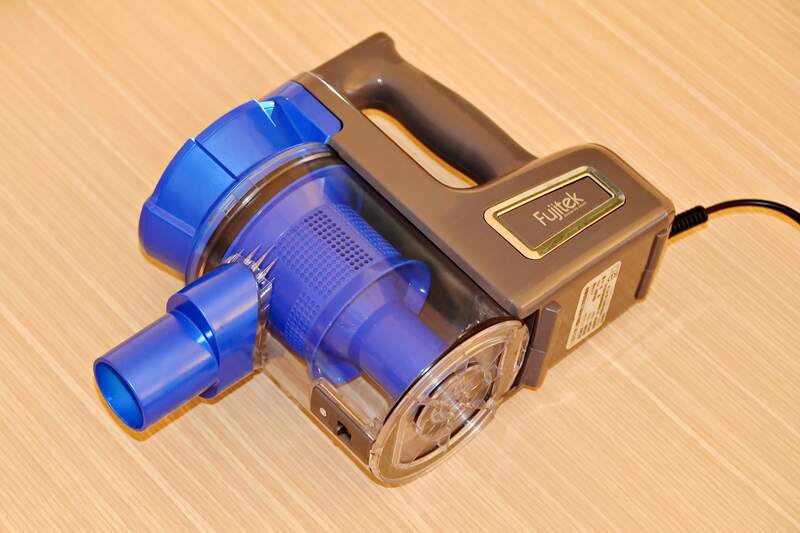 It is a big mistake to use your handheld vacuum cleaner when the filters are dirty. Because you are risking re-contamination the air and also the air flow may be compromised since a dirty filter cannot allow optimal air flow. Check for wears and tears in the filter and replace it as soon as it gets too dirty. That is it, I have given some of the most common vacuum cleaning mistakes so that you can avoid them and get the most out of your cleaning machine. For more information on how you can clean your upright vacuum brush rolls check out the video below.